The Preservation Program Manual is designed to provide Preservation Program participants with a handbook that explains the requirements, processes and procedures of the Neighborhood Preservation Program. The HUD Exchange website provides a one-stop shop for resources, updates, and information related to all HUD programs. 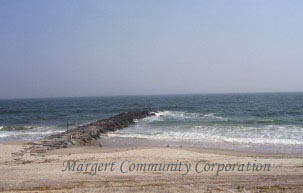 Margert Community Corporation is a New York State Homes and Community Renewal (HCR) Neighborhood Preservation Company, and a HUD approved housing counseling agency, providing comprehensive assistance to persons who want to rent, buy or already own a home, and who seek to be responsible renters, buyers and owners. View Margert's HUD Comprehensive Housing Counseling Approval certification. The NYS HCR Office of Community Renewal provides financial support for not-for-profit community-based housing corporations to perform housing and community renewal activities statewide. These corporations, known as Preservation Companies, provide assistance including, but not limited to, housing rehabilitation, home buyer counseling, tenant counseling, landlord/tenant mediation, community rehabilitation and renewal, and legal assistance. A majority of preservation companies are also involved in the planning and development of capital projects including new construction and /or rehabilitation of older housing stock. Companies perform this work with the assistance of HCR administrative funds and leveraged funds from the private sector and other governmental sources. Preservation Companies are located in most areas of the state and primarily serve low- and moderate-income residents. Preservation Companies are required to serve areas where there are significant unmet housing needs for the low-income population. In partnership with the Queens Borough Public Library, Margert has been selected to serve as the subrecipient to implement Housing Counseling Services as part of the NY Rising Community Centers/Public Services Program in Rockaway East and Rockaway West. Magert Community Corporation is a member of the Neighborhood Preservation Coalition of New York State, a statewide membership organization of community-based, not-for-profit housing companies and other interested parties committed to revitalizing New York State’s urban and suburban areas. The Coalition provides information on state and federal housing policies, networking opportunities, advocacy services and technical assistance to its members. We welcome all those interested in the provision of affordable housing and the revitalization of New York State’s neighborhoods to become a part of our network! HUD's housing counseling program provides counseling to individuals seeking information about financing, maintaining, renting, or owning a home. As as HUD approved Local Housing Counseling Agency (LHCA), Margert Community Corporaton provides for the delivery of a wide variety of housing counseling services to homebuyers, homeowners, low to moderate income (LMI) renters, the elderly, and persons with disabilities. The primary objectives of the program are to expand homeownership opportunities, improve access to affordable housing and preserve homeownership. Certified counselors provide guidance and information to help families and individuals improve their housing conditions and meet the responsibilities of tenancy and homeownership. Counselors also help borrowers avoid inflated appraisals, unreasonably high interest rates, unaffordable repayment terms, and other conditions that can result in a loss of equity, increased debt, default, and eventually foreclosure. Additionally, counselors may provide counseling services to homeowners to prevent or resolve mortgage delinquency, default, and foreclosure, with the primary objective to preserve homeownership. Margert's HUD Housing Counseling Program enables anyone who wants to (or already does) rent or own housing - whether through a HUD program, a Veterans Affairs program, other Federal programs, a State or local program, or the regular private market - to get the counseling they need to make their rent or mortgage payments and to be a responsible tenant or owner in other ways. HUD's competitive funding Notice of Funding Availability (NOFAs) contain the requirement that an applicant must provide a copy of their Code of Conduct prior to entering into an agreement with HUD. Failure to provide a copy of an organization's Code of Conduct will prohibit applicants from receiving HUD funding. Grantees who have a Code of Conduct on file are listed on HUD's website. View Margert's Code of Ethics and Conduct for housing counseling professionals. Under the city-funded Housing Preservation Initiative (HPI), Margert Community Corporation has strengthened its mortgage foreclosure prevention activities and increased its capacity to assist borrowers facing foreclosure. We also focus on the immediate threat to our affordable rental housing environment posed by the increasing number of unexpected mortgage foreclosures. Experienced and professionally certified agency staff pursue a collaborative effort to bring together the three key elements needed to combat predatory lending and prevent foreclosure – preventative education, financial and loan counseling, and loan and legal remediation – in a structured approach leveraged against our existing programs, services and partnerships. Freddie Mac's Don't Borrow Trouble® is a national anti-predatory lending campaign that combines education and empowerment, teaching consumers to protect their homes and finances.